H. Veng Smith (a.k.a. 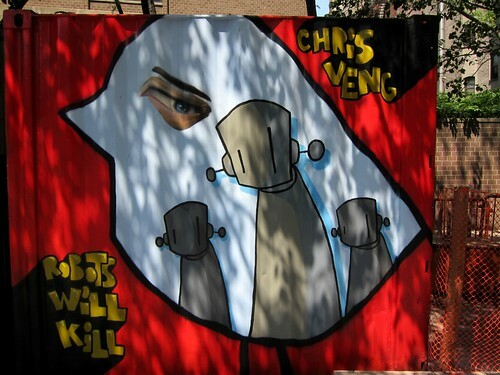 Veng), last seen painting a mural with schoolkids on Avenue D, was one of several artists who redecorated the construction containers on East Fourth Street over the weekend. See more shots at The Local’s Flickr group.